Cockroach Problem: How You Should Deal With It? Where Are The Cockroaches Hiding? Cockroaches are not only scary, but they are quite embarrassing and therefore you should know how to deal with them. Furthermore, it also shows that your home is unhygienic, and therefore you should try to get rid of them as soon as possible. In order to get rid of cockroaches, however, you should focus on certain aspects. 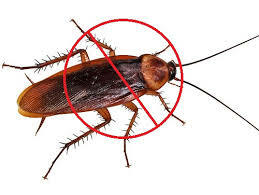 One of the very best ways is by hiring professionals who specializes in cockroach control services because they can completely eliminate them. Unfortunately, cockroaches usually hide in such places where you cannot find them. They can only be seen at night. What this mean is that even when you are killing them, you are actually killing a few percentage of them. This is exactly why you need a cockroach control expert. The fact which you should know is that the cockroach eggs are resistant to different insects out there. What this mean is that even when you kill some of them, chances are that you won’t be able to get rid of them. The reason is quite simple i.e. they are always going to hatch the new ones and you might also end up killing the insecticide. If you have hired a pest control expert to help you eliminate the cockroaches, they will implement the best measures to get rid of both the eggs and cockroaches.It might actually seem like a very easy task to go to the market and buy any of the insecticide which promises to eliminate the cockroaches from your home. However, things are not as easy as it seems. Keep all these great tips in mind to choose the best pest control services.